Most people think weight gain is caused by too many calories consumed vs. burned off. Today, new science shows this couldn’t be further from the truth. Today, we reveal the impact your lymphatic and circulatory system has on your weight, along with new findings on fat disorders that debunk the calorie theory. Learn how reducing inflammation, supporting lymph flow, and eating key nutrients support your body in reducing weight naturally. Plus, if you have painful fat, lipomas, or connective tissue disorders, find out little-known solutions to resolve them and feel better. Linda-Anne is a Board Certified and internationally recognized Cidesco Diplomat. 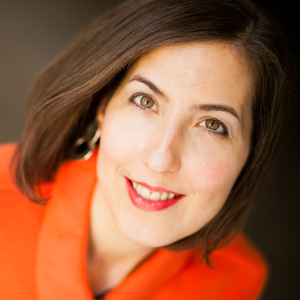 She’s also a Certified Clinical Aromatherapist from Eve Taylor in London. She holds an international certification as a Manual Lymph Drainage Therapist and Lymphedema Specialist from the Dr. Vodder School in Austria and the Foldi School in Germany. She also holds a certification as a Lymphedema specialist from Drs. Judith and John Casley-Smith at the University of Adelaide in Australia. She holds a National Certification by Lymphology Association of North America (LANA). She is on the advisory board for the FDRS (Fat Disorder Research Society) and Lymph Notes. 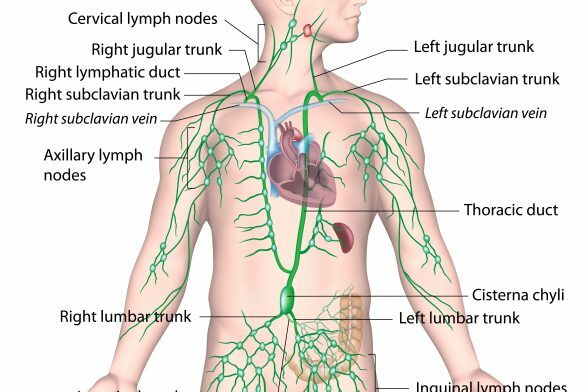 Your lymphatic system is a network of vessels and organs, which contain lymphatic tissue and reaches just about every part of your body, including your brain. 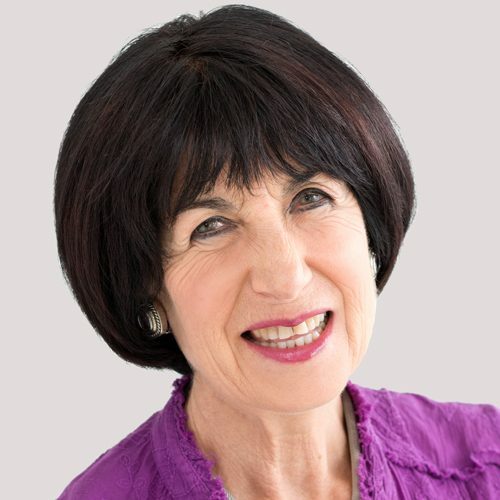 As Linda-Anne Kahn began studying the lymphatic system with a passion for her field in wellness and her own health, she began to realize the lymphatic system is critical for physical health and weight. Immunity – Supports your immunity by noticing and dealing with pathogens and cancer cells. Fluid Balance – Rids your body of waste and fluids by running parallel to your circulatory system and maintaining your body’s fluid balance. Nutrient Absorption – Absorbs fats, fat soluble vitamins and proteins from your intestine, where you have intestinal lymph nodes. 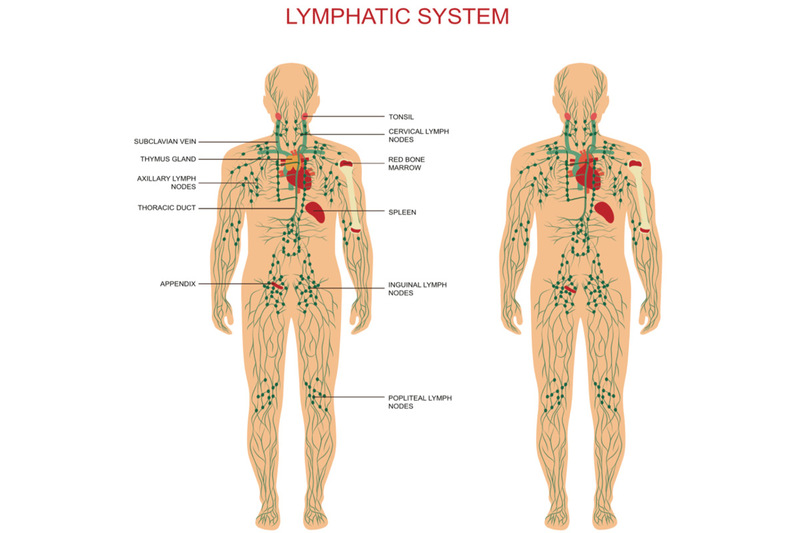 A sluggish lymphatic system is not unusual in our modern times due to nutrient-poor diets and lack of exercise. Let’s find out why. 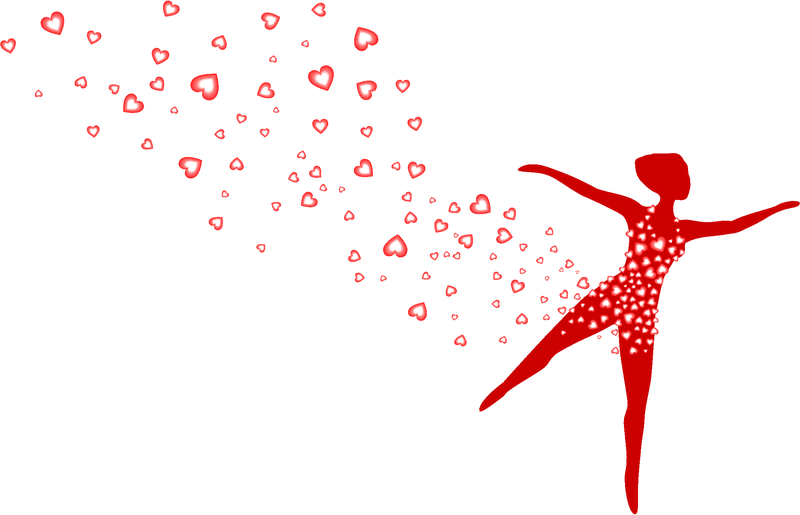 Your heart is the pump that supports circulation (blood flow) throughout your body. Since lymph doesn’t have a pump, it relies on the pulsation of your deep arteries, which move seven to twelve times per minute (not as fast as blood). The angions (muscles), around lymph help it move through the body in one direction. Science and some medical doctors are becoming aware that weight gain is not simply about taking in more calories than you burn off. In fact, new evidence shows that inflammation is the bigger culprit behind weight gain. Beyond typical weight gain, there are also fat disorders, where the fat cells are essentially mutated and behave differently than normal fat cells. In cases of inflammation and fat disorders, you can’t exercise the fat away. Lipedema – this fat disorder is considered common (affecting approximately 10% of women) and involves issues with blood vessels, lymphatics, and inflammation. Typically, it presents as painful fat, symmetrical swelling of both legs, and a much bigger lower body than upper body, although the arms may also be affected. Because of swelling in the upper and lower legs, women may have what’s referred to as “cankles.” Easy bruising and hypermobile (overly flexible) joints are very common. Weight gain may happen quickly, or a woman may feel like she has a lot of cellulite or very large legs that defy eating well and exercising. Dercum’s disease – this fat disorder is considered rare and has been found to be related to connective tissue disorders, like Ehlers-Danlos Syndrome. It involves symmetrical swelling from multiple painful lipomas. The pain can be debilitating and may not resolve with painkillers. Women with very painful fibromyalgia and weight gain, with a larger lower body and sometimes larger upper arms may actually have Dercum’s disease (fibromyalgia is a connective tissue disorder involving muscle pain, but it’s sometimes misdiagnosed Dercum’s disease or co-occurring with Dercum’s). Depression, headaches or migraines, and fatigue are often symptoms of Dercum’s disease as well. There are other fat disorders, like Madelung’s disease and familial multiple lipomatosis. Western science and the mainstream medical system say there is no cure for these fat disorders. In the case of lipedema and Dercum’s, a special type of liposuction to remove the mutated fat cells is helping some women, but it’s expensive, painful, and in some cases, the fat comes back. Doctors who work with fat disorders will also recommend manual lymphatic drainage massage and compression, which have helped tremendously. So what can you do? There is good news. You can support your lymphatic system, immune system and gut health to reduce inflammation and manage or prevent weight gain and fat disorders. Remove processed foods, dairy, gluten, and sugar, all of which have been found to increase inflammation. Consume essential omega-3 fatty acids in the proper proportion with omega-6 fatty acids (1:1). Omega-3 fats (ALA, DHA, and EPA) are considered anti-inflammatory and included in foods like flaxseeds, chia seeds, walnuts, wild caught fish (mackerel, salmon, herring), oysters, and cod liver oil. Omega-6 fatty acids are considered pro-inflammatory. Remember that some inflammation helps deal with injury and healing, so this is where balance becomes important. Omega-6 fats are overabundant in a processed food diet full of processed vegetable fats (refined oils) and factory farmed meats (animals not eating their native diet and not out on grass or pasture). Aim for a 1:1 ratio of omega-3 to omega-6 fatty acids for optimal health. You can do this by avoiding processed foods and all processed (refined) seed and vegetable oils, then focusing instead on unrefined, low omega-6 fats like raw butter, extra virgin coconut oil, palm oil, and extra virgin olive oil. Plenty of vegetables, especially dark green, leafy vegetables, like Romaine lettuce, red leaf lettuce, collards, kale, broccoli, bok choy, spinach, and Swiss chard. Listen to your body and consider the season for whether to consume your vegetables raw or cooked. Include bone broth. Full of collagen, vitamins, minerals and fatty acids, bone broth is like medicine for people with connective tissue disorders. Studies have shown that bone broth supports weight loss, immunity, gut health and reduces inflammation. Here’s Louise Hay’s favorite bone broth recipe. You can get over 100 bone broth recipes, including how to incorporate collagen-rich bone broth in regular meals and healing elixirs in the book I co-authored with Louise Hay, The Bone Broth Secret. Organic grass-fed meats or pasture fed poultry, game, and eggs. Factory farmed animal protein is too high in omega-6 fats and often full of hormones, antibiotics and other anti-nutrients contributing to inflammation. For more nutritional solutions for lymph, connective tissue support, inflammation and gut health, read: Solutions for Joint Pain, Arthritis, Fibromyalgia & Ehlers Danlos. 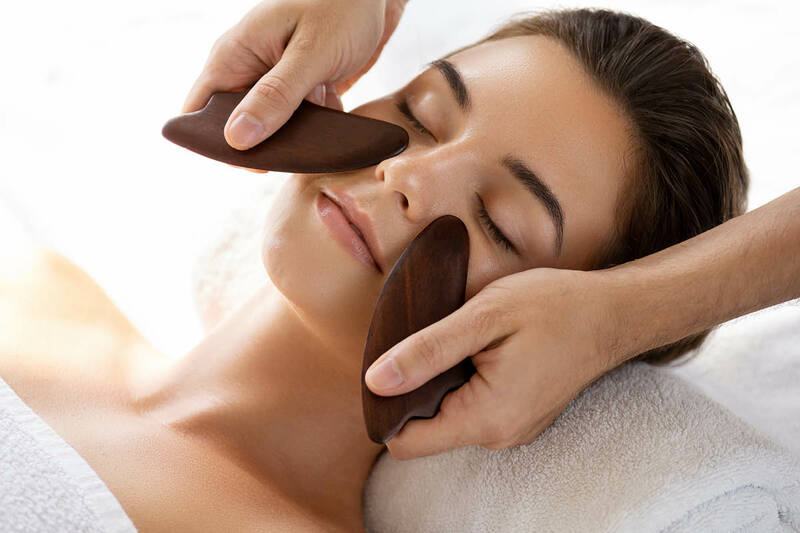 Manual Lymph Drainage (MLD) – Linda-Anne recommends looking for a Vodder-Certified manual lymph drainage therapist for this light, pumping massage that stimulates the flow of lymph around blocked areas to healthy vessels, where it can drain into the venous system. MLD may reduce pain, swelling and bruising from stagnant lymph. It’s been found to help with cellulite, lipedema, Dercum’s disease, and other issues that slow lymph movement. Dry Skin Brushing – dry skin brushing is a detoxification process that involves exfoliating the skin before bathing. Doing this removes dead layers of skin and supports lymphatic health. You can use a natural bristle brush or a raw silk glove. You can find dry skin brushing instructions here from my friend, Dr. Kulreet Chaudhary. Exercise – including swimming, yoga, walking, and rebounding on a mini trampoline. If you are concerned about fatigue or hypermobile joints, you can rebound on a mini trampoline while holding the bar. Even holding the bar while gently moving your legs can help. Whole Body Vibration – these machines can be found in some wellness spas and exercise clubs. They offer gentle vibration for lymph flow and you can do light exercises on them. Deep Breathing – Deep belly breaths help your lymph flow. Many people today are breathing shallowly, which is a sign of stress. Focusing on deep breathing during the day can make a big difference in your wellbeing and relieve stress. Light Compression Leggings – Linda-Anne and I love Solidea Silver Wave light compression. You can get shorts, leggings, and arm compression, depending on your needs. These are light 12 – 15 mmHg compression that are more comfortable than Spanx-type shapewear. They support your circulation and lymph flow. Many women find it helps reduce swelling and boosts energy. Research shows compression can also relieve pain, including abdominal pain, and reduces potential injury and dislocation from hypermobile joints. Supplements – Some examples are diosmin, butcher’s broom, and horse chestnut, which are contained in Jarrow Formulas Venous Optimizer, and l-arginine. Minerals – Adding 40,000 Volts and/or Anderson’s Sea MD to your water daily can be very helpful for lymphatic flow, immunity and gut health. People with connective tissue disorders tend to need more minerals than the average person. To learn more, read: Solutions for Joint Pain, Arthritis, Fibromyalgia & Ehlers Danlos. Essential oils – Linda-Anne recommends ravensara, grapefruit, and lemon essential oils. Two great sources for essential oils include Body Bliss and Mountain Rose Herbs. You can learn more about natural remedies in the following non-profit classes, which are offered as part of The Wellness Project by Price-Pottenger Nutrition Foundation. These are video classes that you can watch at your leisure. These classes were created to support you on your healing journey and registration is on a sliding scale based on your budget (starting at free). Learn to make bone broth and gut-healing foods. Learn natural remedies and solutions for Epstein-Barr Virus (EBV), retroviruses, and other immune challenges: Immune-Healing Foods, Supplements & Remedies Part 1. Immune-Healing Foods, Supplements & Remedies Part 2. Tune in next week to 21st Century Medicine Woman, to learn more about the art and science of healing with a blend of nature medicine and the latest research in health, healing and lifestyle transformation. Together, we discover how to take our health into our own hands – because your genetics are 5% of your health and what you consume – food, thoughts, lifestyle – is actually 95% of your health!